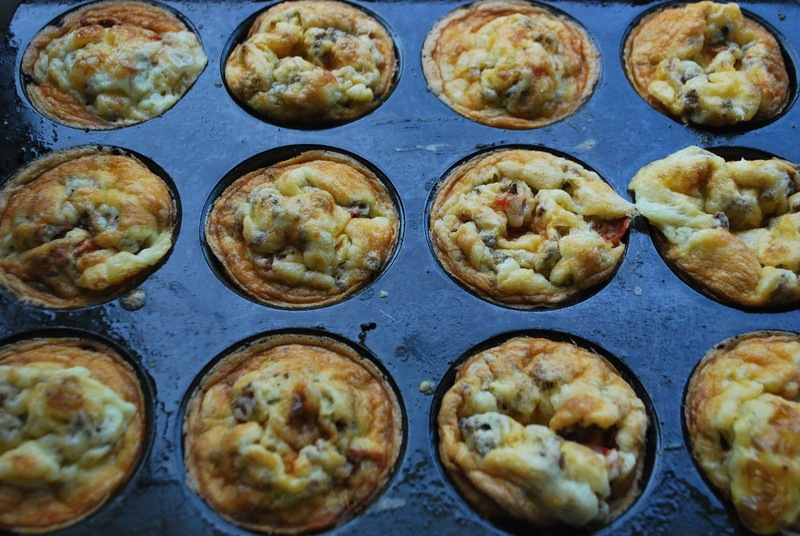 Today I’m going to share with you my egg muffin recipe. They are delishious, great for packed lunches or days when you don’t have time to cook breakfast. Really low in carbs and a good source of fat and protein. 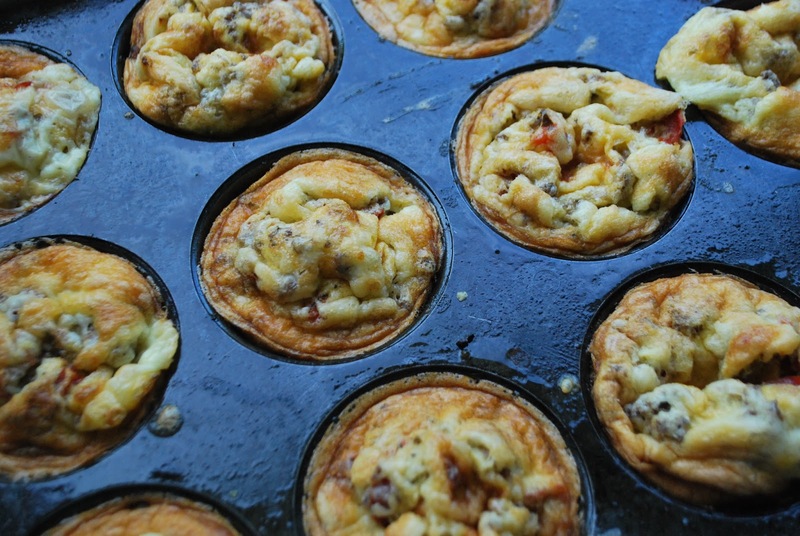 The recipe makes 12 big egg muffins. Put the egg mixture aside. 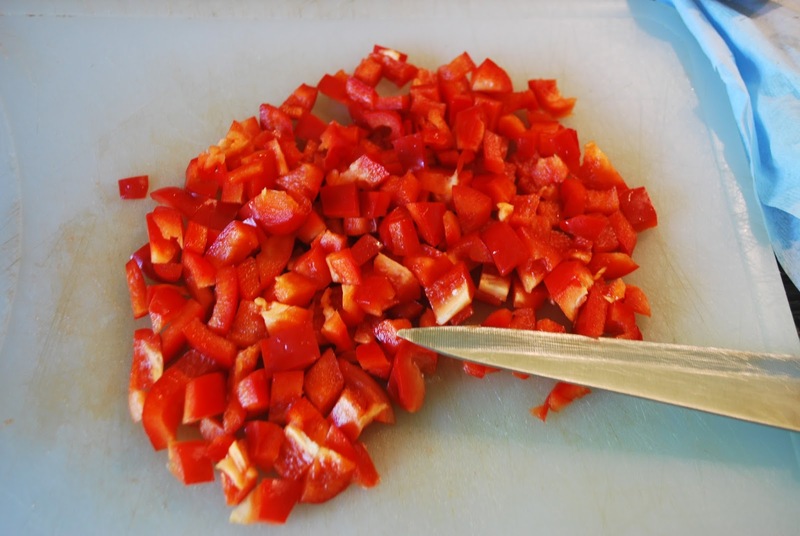 Then chop up your red bell pepper into small pieces. 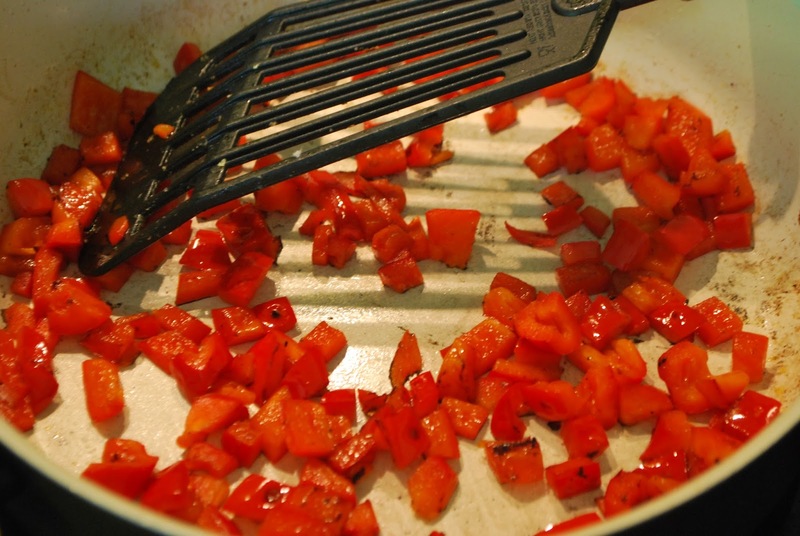 Fry it for some time in some oil in a pan with a dash of salt until the pepper gets nicely caramelized and soft. Now add in ground pork, add pepper, ground paprica and salt. NB! 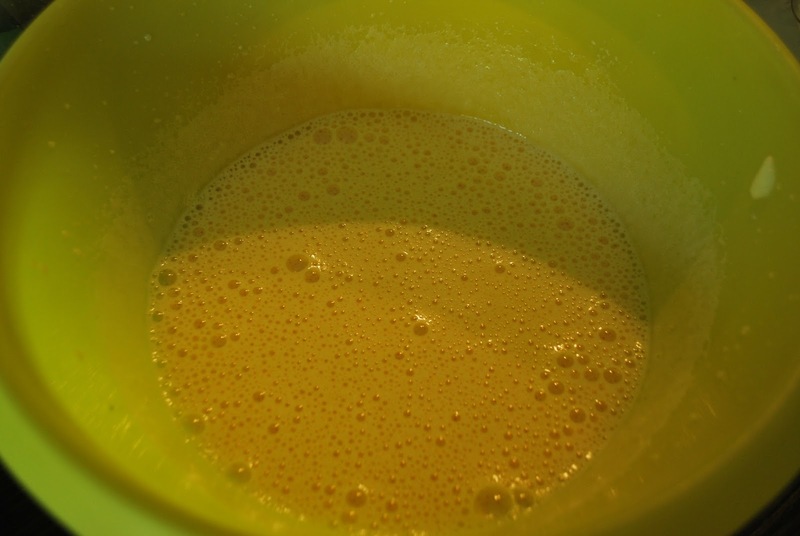 Be cafeful with salt, you already have salt in the egg mixture. Break the ground pork into small pieces while frying it. 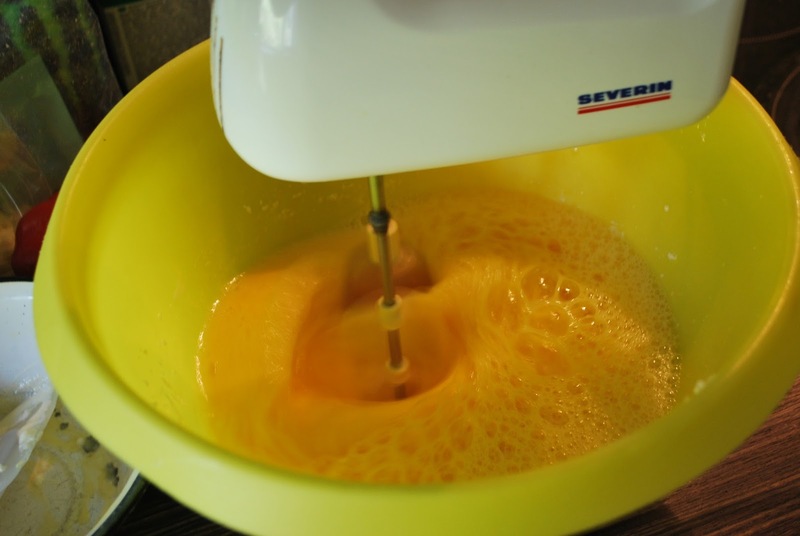 Now you are ready to assemble your egg muffins. I buttered my muffin tin really well but they still got stuck a little bit. If you have good muffins liners, use those. I can’t seem to find any that do not get stuck on the muffin. 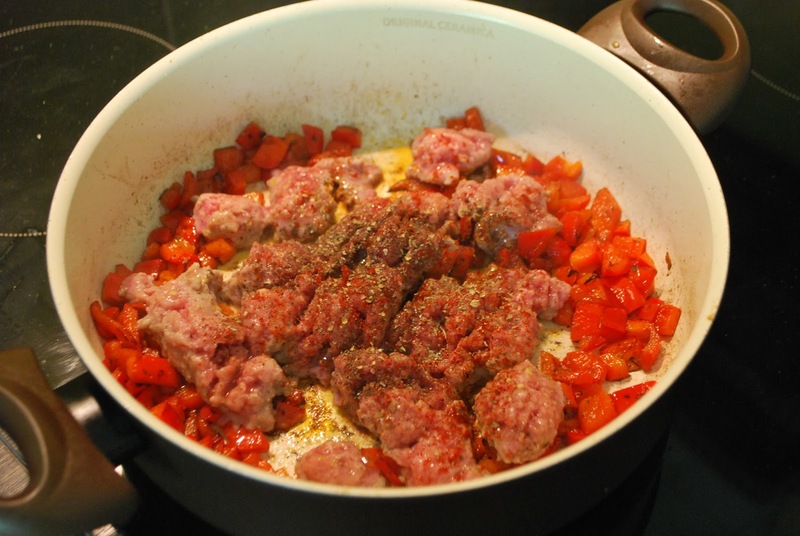 Divide your meat filling evenly, then sprinkle the tops with grated cheese. If you like them really cheesey, use more cheese, 50 grams isn’t that much, just adds a little flavour. 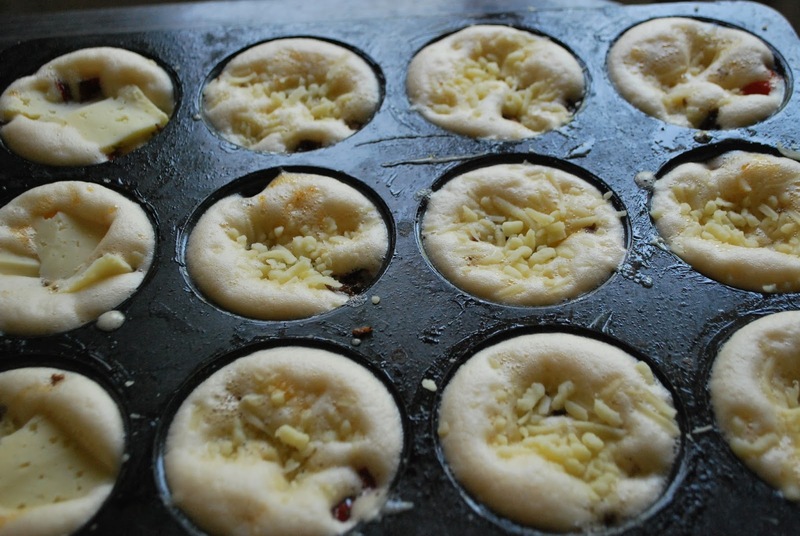 Put you muffins in the oven for about 25 minutes at 180–200C. The whole recipe is 1762 kcal 150 g of protein, 14 g of carbs (of which 4 g is fiber), 121 g of fat. 1 muffin is 147 kcal, 12,5 g of protein, 1,2 grams of carbs, 10 g of fat. How much Baking powder do you use? Also do you pour the egg mixture into the muffin pan & then drop in your sausage mixture or do you mix it all up then spoon into the muffin pan? Maybe 1/3 to 1/2 of teaspoon. I haven’t ever exactly weighed it. 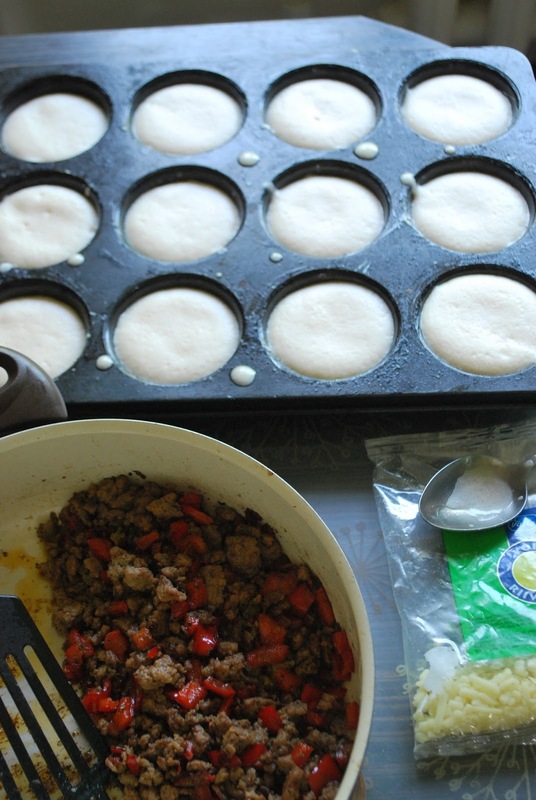 I add egg mixture first and then drop in the filling (meat etc), so every muffin is pretty much even.